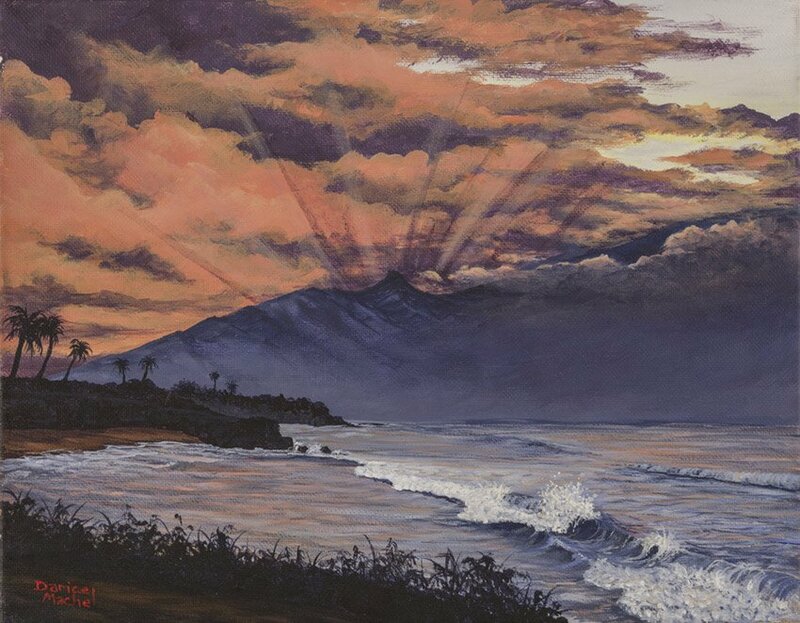 Darice Machel McGuire is a famous Hawaiian painter who lives on the beautiful Island of Maui. 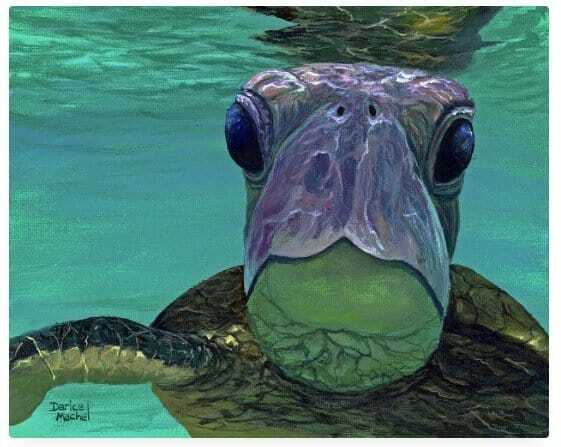 Her works are represented by Village Galleries in Lahaina, The Gallery At The Ritz in Kapalua and Kaukini Gallery in Kahakuloa, all on the island of Maui. We welcome her today on CreativInn to let us present her universe. Darice Machel McGuire, could you please tell us a bit about yourself and your universe? 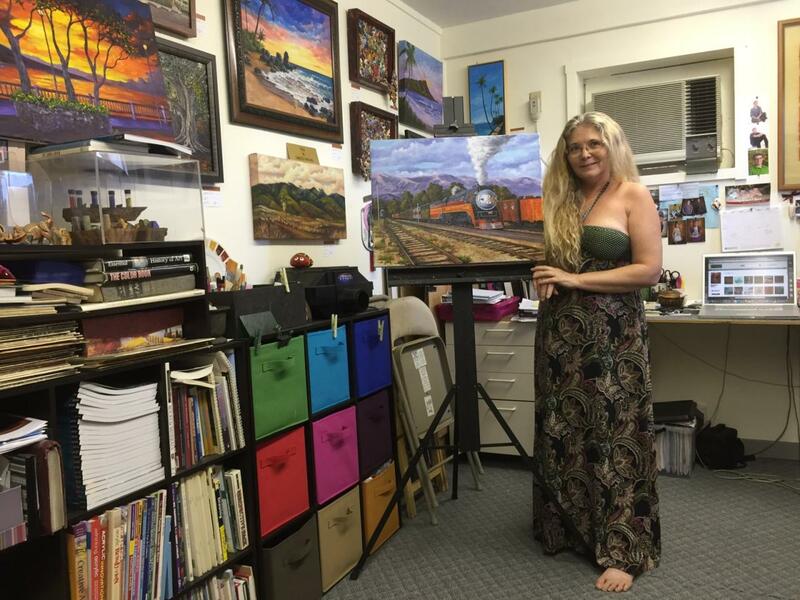 I’m an artist living, painting and teaching art on Maui. I have spent most of my life surrounded by beautiful nature. The north shore of Lake Tahoe was my home for over 30 years. I was a single parent of four and now Grandma of 7. Making the decision to move to Maui was easy and hard to do. Easy because the Hawaiian Islands have been calling to me ever since I was a kid. Hard because it meant putting thousands of miles between me and my family. My universe is filled with inspiration. Every day I wake up to birds singing outside my window and sometimes to the sound of tropical rain and swaying palms. The scent of plumeria and other tropical flowers fill the air. My drive from home to my studio in Lahaina is visual eye candy. The ocean is on the right and the West Maui Mountains are on the left. Most days I’m treated to blue skies, incredible clouds, ocean waves breaking on shore and sometimes a rainbow or two. All of that is just my morning ritual. When I go home at night, I get to do it all over again in the reverse. The time I spend in my studio is filled with lots of activities, not all are in the artistic realm. I work on marketing my business, building and updating my two websites, researching, teaching and when I’m a real good girl, I get to paint. Life in my universe is busy and pretty amazing. Were you always interested in art growing up? Yes, art and creativity was a normal way of life in my family. Both my parents are creative artistic people. My mom did cake decorating, flower arranging, sewing and oil and watercolor painting. Dad created lots of things out of wood and metal. He built our house and our play house and the furniture that went in it. I began at a very young age creating things, clothes, costumes, needle point projects. I crocheted dolls, blankets, doilies and stuffed animals. I sang, danced, acted in plays and I painted. I had a good imagination and was allowed to express my creativity however I saw fit. My parents opened an art gallery in Lake Tahoe when I was a teenager. Fine art became the focus of our family life from that point on. The Gallery also had an art supply store, frame shop and classroom. My dad taught me how to frame and my mom taught me how to teach. Home wasn’t the gathering place of the family, the gallery was. So you can say, my life has always been surrounded in art and I don’t think I chose it, it chose me. How did you come to art? I grew up in the art world. I first began oil painting at our kitchen table when I was sixteen. Mom had been taking oil painting classes for about a year before opening Lakeside Gallery and teaching me how to paint. I went to a few painting workshops with her and really enjoyed them. When she started having workshops by visiting artist at the gallery, I would take advantage of as many as I could. Do you have or have had a mentor or other special person to guide you? My mother, Lola Owen was both my guide and mentor. Mom was patient, loving and smart. She never lost her temper or spoke harshly when I’d make a mistake. She was enthusiastic and excited about sharing her knowledge with me and others. She was the best teacher I ever had. She wasn’t just my teacher, she taught 100s of people, young and old. Art was her passion. I loved watching her paint, she made it look so easy. Mom isn’t painting much these days and it saddens me. She is 87 and going blind. But her passion is still alive and strong, and she is still teaching others how to paint. Turns out you don’t need to see to pass on knowledge, you just need to listen. Hawaii is everywhere in your artworks. What is your favorite place that helps you find inspiration? The Hawaiian Islands have lived in my heart ever since the fist time I step foot on them. 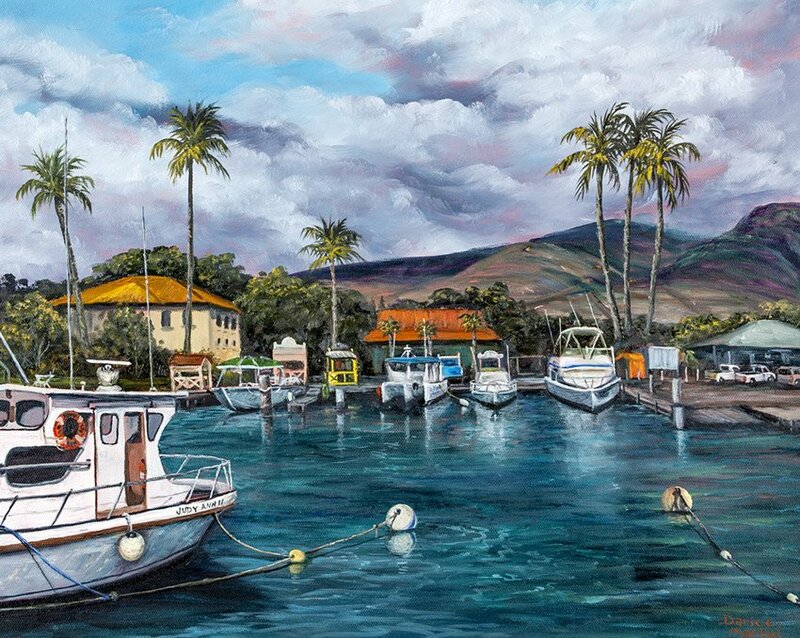 I started painting tropical scenes soon after my first visit. It became my dream or obsession to live here. 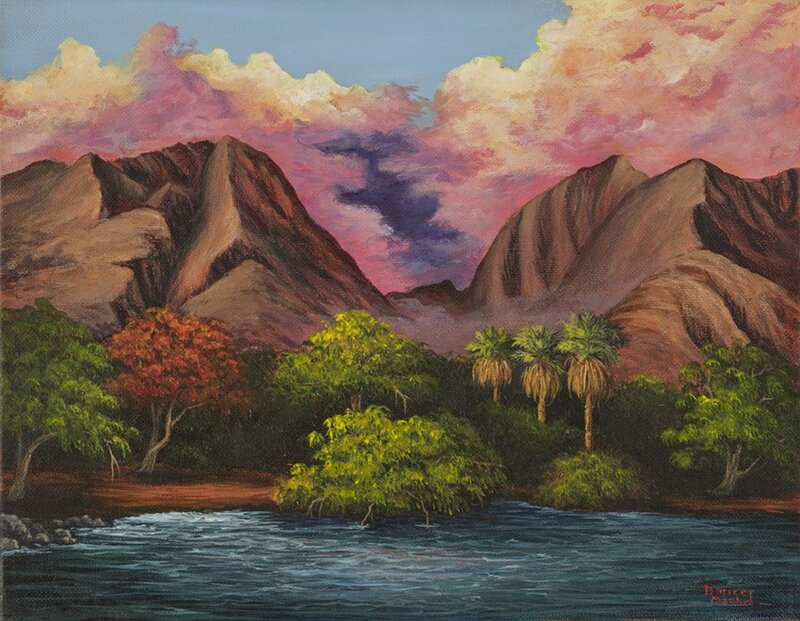 Most of the paintings I did while living in Tahoe were tropical scenes. People use to ask me why I didn’t paint more Tahoe scenes. I always responded that my heart wasn’t into it. Living here on Maui has set my heart free. My husband and I explore the island whenever possible. He is a landscape photographer whose work goes hand in hand with mine. There are so many inspiring places. From the top of Haleakala to the beaches of Ka’anapali, to the waterfalls and bamboo forests along the road to Hana. Everywhere we go is inspiring to me. Sometimes I have too much inspiration, I go into inspiration overload and want to paint everything I see. I take all my own reference photos which allows me to revisit and paint those moments of time. Could you explain your painting techniques? 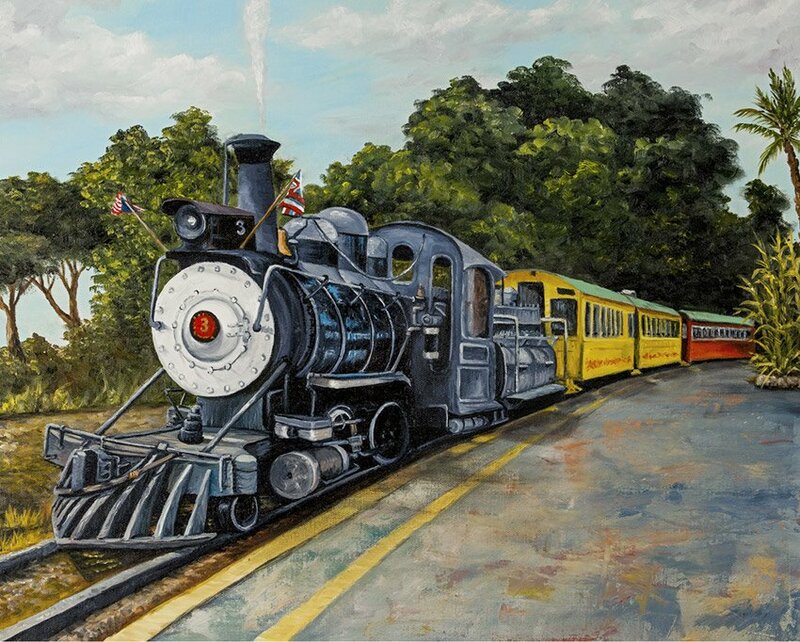 The process I used for my “Southern Pacific Daylight” oil painting was to start with a detailed sketch. Being precise with the drawing was critical for this painting. 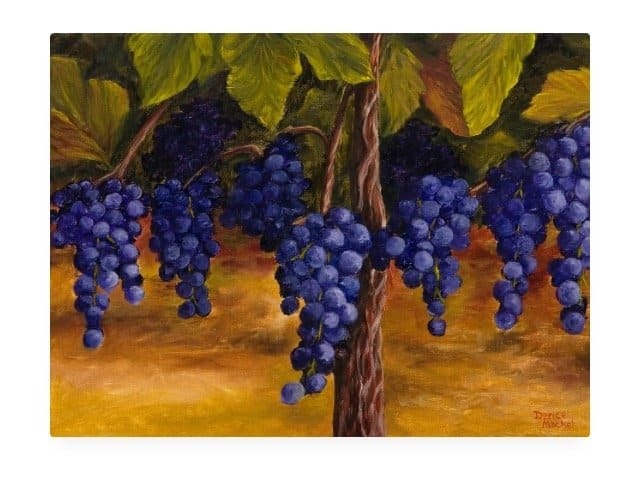 The technique I used for applying the paint was the opaque method, using thick color and broad strokes. I worked from back to front. Basically starting with the sky and moving forward. It’s how I approach most of my paintings. Once the sky was complete I moved on to the mountains, tree line and smoke. I then did a thin wash of color for the ground and tracks. Letting this part dry while I worked on the box cars and water tower. Going back to the foreground and tracks I spattered varying shades of color to the ground to give it a sandy pebbly look, painted in the tracks and added the three jackrabbits. Then I went back to work on the boarding platform and train cars. Leaving the engine for last because of the amount of detail that had to go into it. The engine started out as a black one, putting in about twelve hours of work. Once I had complete it I had my client who commissioned me to do the painting, come over to view it. He was extremely pleased but asked for a “small” change to the engine. He requested I add the red and orange strip that was the iconic look of the Daylight. This meant covering about 4 hours worth of work. And to do that I had to make sure the paint was completely dry, then I began to cover over the highly detailed engine with thick paint. Making sure to follow the reference photos he gave me. Before calling it complete I added a conductor, flags and the wording on the engine. The train now matches his model train set and he is thrilled with the outcome. How has your style changed over the years? I started out painting more like my mom’s style, soft and detailed. Then I discovered palette knife painting in my 30s. I got such a thrill out of plastering paint onto the canvas, the thicker the better. When I opened my art school I starting teaching a variety of painting techniques to my students. I wanted them to discover what they liked, not just what I liked. Teaching allowed me to discover even more wonderful styles and gave me freedom to play. I love painting realism, impressionism, abstract now and again, and a fun spatter technique I do with acrylics on watercolor paper. Which people mistake for watercolor paintings. Exploring different painting techniques keeps me from running out of ideas. What are you currently working on? What is your dream project? 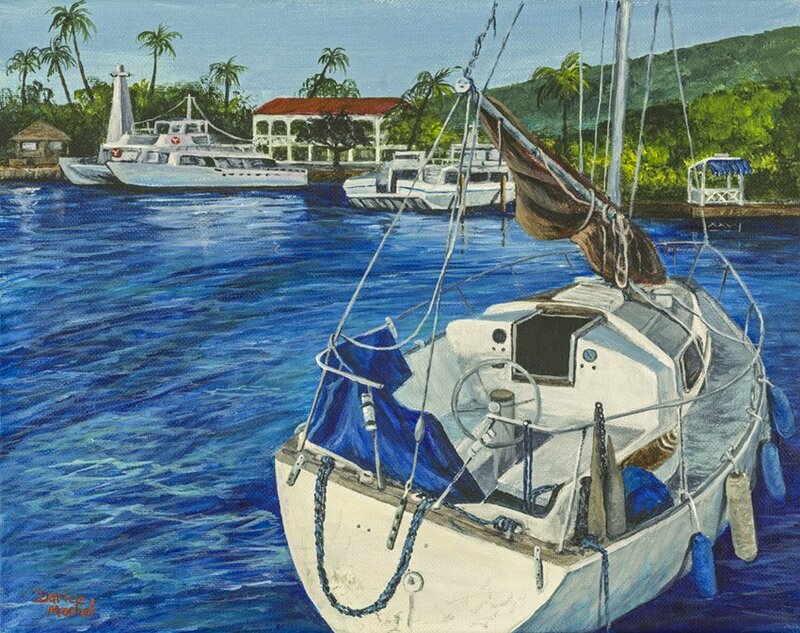 I just finished a couple of oil paintings of Lahaina for a show this July, and 6 miniature acrylic paintings for one of the galleries that represents me. My miniature paintings are great sellers here. Now I’m working on a series of paintings to be used on fabrics for summer products such as beach towels and tote bags. All of them will have that summer fun feel but will be more in a graphic design style instead of my traditional fine art style. My dream project is to expand my studio space. I’d like a classroom large enough to accommodate 12 to 20 students. Is artistic life lonely? What do you do to counteract it? I’m never lonely. My art school, Art E Studio ( www.art-e-studio.net ) keeps me pretty busy. I have local students who come at least once a week for lessons and vacationers who schedule one day workshops with me. I created a series of paintings for my workshops that are Maui themed so people can take home a special souvenir they painted. 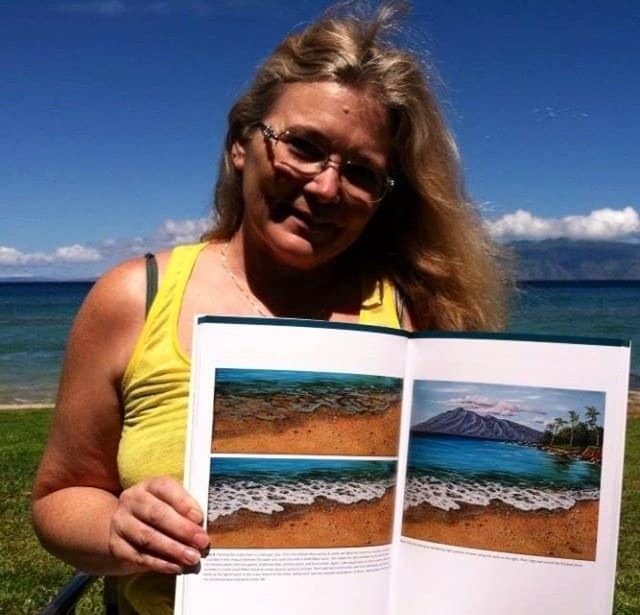 I’m also President of a nonprofit, Lahaina arts Association, which focuses on art education for the children of Maui county (www.lahaina-arts.org ). I do a lot of fund raisers, march in parades, run board meetings and sometimes substitute teach for one of the 13 free weekly art classes we have for the kids of Maui county. I have no time to be lonely. “Never give up”. I don’t remember who said it or when. I just know that those words have been stuck in my head most my life. When times got taught, they were there. Raising my four kids on my own was a huge challenge. When money was tight and I didn’t know if I’d have enough to pay rent and feed the kids “never give up” was there. When a painting causes me grief “never give up” pops in my head. When I started dreaming about living on this beautiful island and life kept getting in the way, “never give up” kept me going. Somehow I knew if I never gave up, great things would happen and I was right. If you have any question, don’t hesitate to let a comment below, Darice Machel McGuire will be happy to answer you. 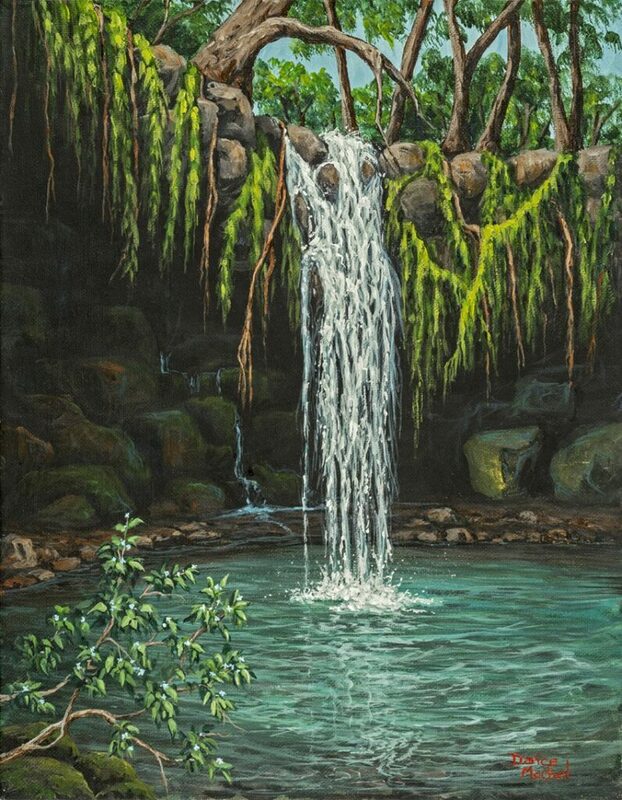 If you like her universe, don’t hesitate to have a look at her incredible collection of paintings and if you stop by Hawaii Island, don’t hesitate to visit Art-E-Studio . 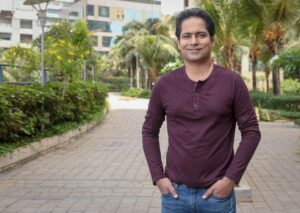 Vikkramm Chandirramani is a writer-director from Mumbai, India. His new urban crime drama ‘The Perfect Murder’ has been getting rave reviews with many critics lauding the film. His last film ‘Destiny’ won several awards including ‘Best Foreign Film’ at The Ridgewood Guild International Film Festival, New Jersey and has crossed 4.3 million views on YouTube. Undoubtedly, Canadian Art is an attractive art melting pot composed of various cultures and influences. The incredibly diverse immigration in Canada brought in people from all over the world, bringing with them part of their culture which is eventually reflected in their various artistic. A small but deeply representative sample of this savory Canadian mix is given here with its 9 most representative artists. What do you think of these 9 Famous Canadian Artists we selected for you? 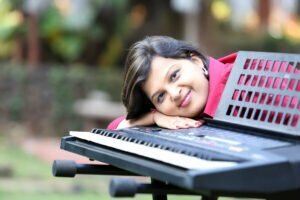 An Interview with Priyanka Lalwani: A development program for the Artists. 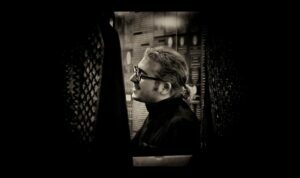 In light of the release of his latest album, Symphonic Oriental Images, a conversation with Karkanawi, the first Saudi Musicologist & Classical Composer.